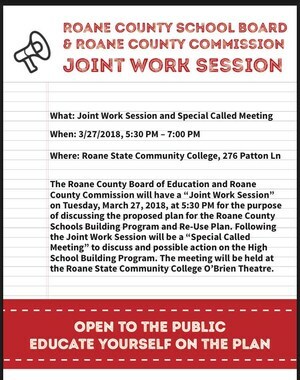 Join us for a Joint Work Session and Special Called Meeting between the Roane County Board of Education and the Roane County Commission this evening, March 27, 2018, beginning at 5:30 PM at Roane State in the O'Brien Theatre. 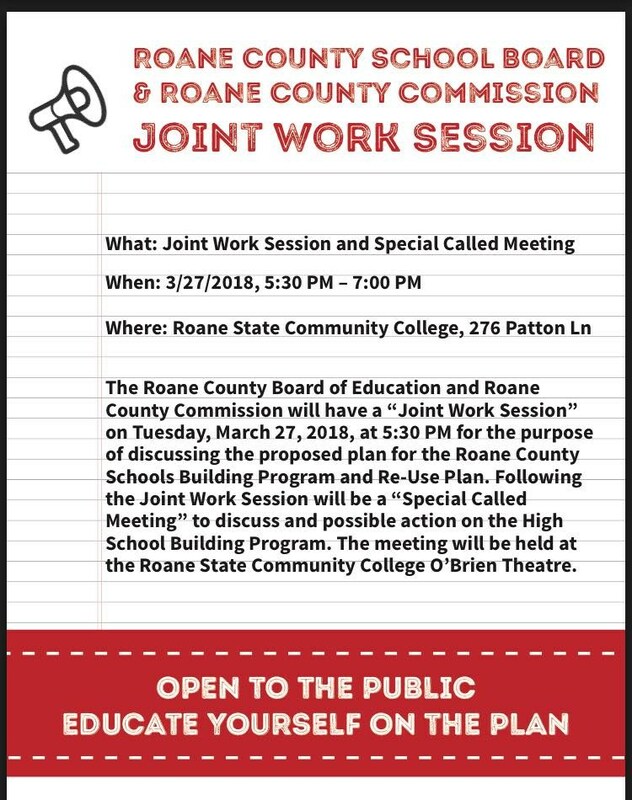 Please remember the Joint Work Session and Special Called Meeting being held tomorrow, Tuesday, March 27, 2018, beginning at 5:30 PM at Roane State in the O’Brien Theatre. For those unable to attend, we will be going live on our Facebook page during the meeting.